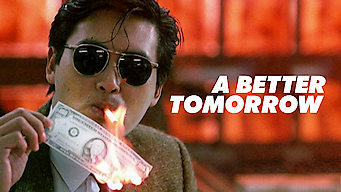 How to watch A Better Tomorrow (1986) on Netflix Taiwan! Yes, A Better Tomorrow is now available on Taiwanese Netflix. It arrived for online streaming on December 29, 2018. We'll keep checking Netflix Taiwan for A Better Tomorrow, and this page will be updated with any changes. Two brothers, each on opposite sides of the law, find their worlds colliding when their father is murdered and their loyalties are put to the test. Blood ties. Bloodshed. So many bullets. Family is everything. Can a mobster sacrifice it all for his cop brother?